LIFT’s Container Operations guarantees your delivery times and ensures seamless collections and deliveries. 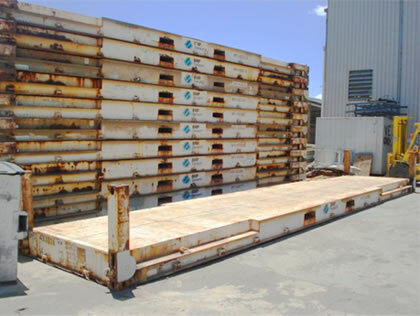 Our easy-to-modify fleet of Flat Racks reduce truck waiting time and minimise risk by allowing for loading and lashing on ground. 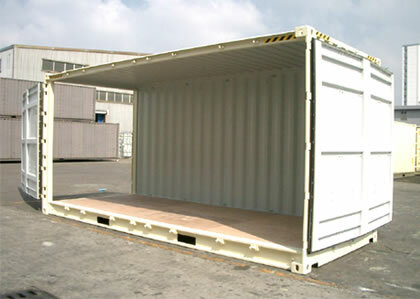 We also operate a range of 10ft, 20ft, and 40ft sidedoor containers. All services are paperless with customised job status updates provided to suit your particular needs. We provide project logistics support that has no boundaries. Whether it be as simple as a workshop to help our customers identify their needs through to complex modelling, planning and execution. As expert consultants and project managers, we handle all stages of the logistics planning and subsequent execution of the project. Our planning includes all integration with internal and external stakeholders and includes detailed risk assessments, route plans, scheduling and costs modelling. Complete end to end planning with exceptional attention to all regulatory compliance issues, safe operations, and the protection of the environment. With Modular Construction Logistics, LIFT can complete the supply chain from the production line to the final installation site. 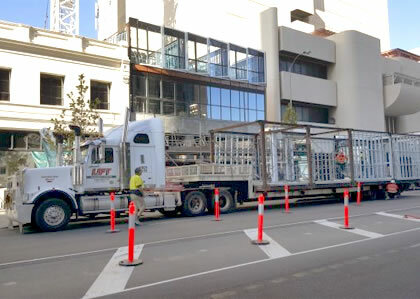 We provide complete Traffic and Journey Management plans to authorities and councils for prior approval and use specialised trailers and accredited pilots to ensure safe and legal transport. We can also assist with installation by providing qualified tradespeople who also double as drivers and pilots.